The latest round of employment figures were recently released by the Office for National Statistics (ONS, 2019). In it, the number of people in work reached a record high (32.54 million) between September – November 2018. Furthermore, average earnings increased by 3.3%, the number of vacancies increased, and unemployment is at its lowest level since the early 1970s. All cause for celebration. Employment Minister Alok Sharma announced “Our pro-business policies have helped boost private sector employment by 3.8 million since 2010, and as the Resolution Foundation’s latest report shows, the ‘jobs-boom has helped some of the most disadvantaged groups find employment’, providing opportunities across society.” (BBC, 2019). Surely, reasons to be cheerful in these turbulent times? However, we need to ask a number of critical questions about the real state of UK labour markets and the realities (and harms) associated with “employment”. First, how accurate is the Labour Force Survey? Our current fixation on low unemployment is a statistical construction easily rejected on closer inspection. This sample survey of 100,000 responses categorises employment as working over one hour a week, and unemployment as actively seeking work in the past four weeks and available to start in the next two weeks. From a low bar to one much higher. Second, what are the conditions within work? We clearly have no difficulty in creating jobs (or characterising forms of activity as ‘employment’) but it tells us nothing about the lived reality of (in)stability, (in)security, and experiences of work. In my recent book, The Harms of Work: An Ultra-Realist Account of the Service Economy (Bristol University Press), I consider the reality of life in the insecure, flexible and low-paid service economy. I observe workplaces and interview employees engaged in retail, call centres, leisure, takeaways, bar work, delivery jobs and other forms of customer-facing roles. I examine the historical shifts in UK labour markets over recent decades to demonstrate a thorough neoliberal restructuring of working life, away from stability and security, towards competition, flexibility and profitability. I also utilise emerging theories within ultra-realist criminology and social harm to consider the more problematic aspects of this fundamental transformation. We may have, statistically speaking, more people in jobs than any time in the last four decades, but there are problematic and harmful realities at play in low-paid service work that are overlooked by positive employment figures. These problems (and harms) include an absence of stability. Temporary, precarious forms of ‘non-standard’ work include zero-hour contracts and the ‘gig economy’. Power and flexibility rest with employers, not employees, while workers struggle to plan for the week ahead, devoid of solid grounding upon which to build a life. There is also an absence of protection. Illegal practices such as non-payment of the mandated National Minimum Wage and unpaid ‘work trials’ exploit service economy employees. The absence of protection also extends to mental ill health as overworked, precarious and stressed employees struggle to get by yet often shoulder the responsibility personally; if only they worked harder, if only they were less ambitious or more realistic, things would not be so bad. Finally, the absence of ethical responsibility for each other creates problems and harms. Management bullying, workplace cliques and the active exploitation or sabotage of colleagues pervades organisational cultures built on the neoliberal logic of competition, individualism, entitlement and display. Social relations within a competitive culture and competitive work environments increasingly reflect post-social arrangements and lead to harmful consequences. I frame much of this behaviour and observation around a notion of ‘social harm’. That’s the prevention of recognition, positive rights and human flourishing caused by the intended and unintended consequences of the normal functioning of consumer capitalism. This system, following its own logic, reshapes organisations, cultures and subjectivities and generates a series of problematic and harmful consequences. Looking at the reality of contemporary working life and labour markets is vital; it’s no longer acceptable to continue celebrating the employment figures and the reduction in unemployment when the reality of the workplaces in which the majority of people are engaged produce such deleterious and damaging consequences. The Harms of Work by Anthony Lloyd is available on the Bristol University Press website. Order here for £64.00 or get the EPUB for £21.59. By Glen Bramley, co-editor of Poverty and Social Exclusion in the UK Vol. 2. Originally published by Poverty and Social Exclusion on December 8th 2017. Poverty as measured by material deprivation through lack of economic resources remains absolutely central to understanding the causation and patterning of most aspects of social exclusion and a wide range of social outcomes. This is the strongest message emerging from Poverty and Social Exclusion in the UK: Volume 2 – The Dimensions of Disadvantage, the second of the two-volume study based on the PSE-UK 2012 surveys. Attempts to wash ‘poverty’ out of the policy agenda and government target-setting are quite wrong and unsustainable. This volume, which I edited with Nick Bailey, sets out to explore the different ‘domains’ of social exclusion and the ways that these relate to each other and to the core issue of material poverty. Having examined a wide range of disadvantages, the overall conclusion is that reducing poverty is probably the most effective way to promote key societal outcome targets. This is notably the case for health, as shown in the chapter by Prior and Manley, and wellbeing/happiness, as discussed by Tomlinson and Wilson. 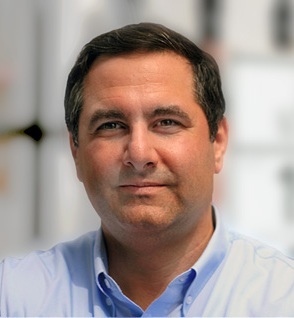 The social harm caused by poverty is examined theoretically as well as through drawing on the PSE’s qualitative evidence in the contribution by Pemberton, Pantazis and Hillyard, who argue that several concepts currently in vogue within social policy discourse – such as resilience and risk – are inadequate in addressing this challenge. Increased risks of severe poverty and destitution, not unconnected to welfare reforms and cuts, are evidenced in the contribution by Bramley, Fitzpatrick and Sosenko, drawing on a combination of PSE and new special survey evidence. Concern about poverty and exclusion cannot be separated from concerns about inequality, with particular current concern about the contrasting trends and policies affecting the poorest and the most affluent in the UK, as is illustrated by the examination of wider measures of living standards presented by Patsios, Pomati and Hillyard. The striking trend towards more of poverty overall being among working households, as well as the extent of forms of ‘exclusionary employment’, is the main theme of Bailey’s contribution. This is not the only example of greater ‘precarity’ across wider sections of the community, as there is also a marked shift in this direction in housing as more households live in insecure private renting paying higher rents with little security, while financial stress affects approaching half of the population (Bramley and Besemer). Wilson, Bailey and Fahmy found that access to resources and support from social networks is less closely related to poverty and clearly for some households support from family, in particular, is often a key factor in coping with poverty – but in poorer communities family and neighbours may themselves be hard-pressed. Fahmy also shows that poverty does also limit the extent of civic and political participation, alongside factors like education and class. The domain on which exclusion appears least related to material poverty is in fact access to local public and private services. Bramley and Besemer argue that this is ‘good news’, implying that through national and local policies, public spending and regulation, the natural tendency of market systems to reinforce inequality has been neutralised. Other good news stories include the above-mentioned examples of domains of exclusion which are not dominantly driven by poverty, improvements in some aspects of living standards and declines in some forms of exclusion (e.g. financial services), and gradual increases in reported happiness. There has also been a dramatic fall in the incidence of poverty among the retirement age population over the last two decades. Nevertheless, there is some evidence to support concerns about trends towards more marketisation and financialisation of aspects of life, lessening social cohesion and engagement, and promoting disillusion with the system. This is probably not unconnected with the unprecedented falls in living standards experienced by wide sections of the population in the later 2000s and early 2010s, in part due to cost of living factors like higher fuel costs (causing a marked rise in fuel poverty) as well as the increasing precarity of some people’s working lives and housing situations. On a majority of domains of social exclusion, the surveys showed that scores had worsened between 1999 and 2012, while people’s judgements about what things were necessities became more restrictive, reversing a long-term trend towards a more generous set of expectations. The authors also note a growing ‘behavioural agenda’ around poverty, but are highly critical about some misuses of this perspective in relation to public understanding, policy agendas and targets. For example, family breakdown, educational failure and serious personal debt may in some cases cause or confound poverty, but very often they are also clearly consequences of poverty. Addictions can be a compounding factor in the poverty and exclusion of some adults, but these only account for a tiny proportion of the total number of adults in poverty. Britain has moved forward and then backwards in terms of the adoption of national targets for the tackling of poverty, particularly child poverty, with poverty ‘airbrushed’ out of the national strategy for social mobility. Yet in this respect the devolved administrations, particularly in Scotland, have chosen to follow a different path, reinstating child and other poverty targets in legislation and developing an action programme to achieve these. Recent research-based initiatives by the Joseph Rowntree Foundation under the banner Solve UK Poverty have set out an ambitious and diverse policy agenda which it is argued would significantly reduce poverty in the medium to longer term. Yet in the shorter term the immediate prospect in forecasts by the respected Institute for Fiscal Studies are for a substantial rise in poverty, due in substantial measure to the further imposition of welfare reforms, cuts and the freezing of many benefits. Overall, we believe the multi-dimensional perspective of ‘poverty and social exclusion’ has been shown to be justified and successfully implemented through the PSE Survey. 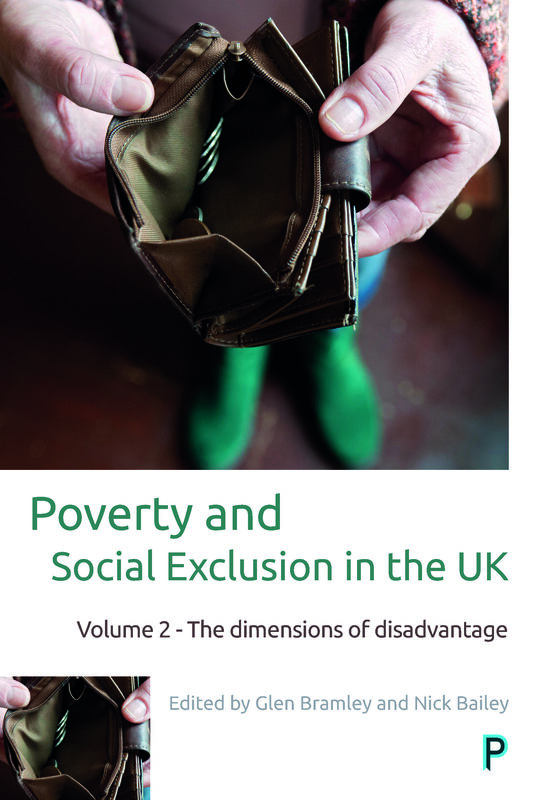 In this volume we offer a new picture of the main distinct dimensions of poverty and exclusion, while arguing that it is important to pay attention to these distinct aspects to get a full picture of disadvantage in contemporary UK. For taking this research forward into the future we anticipate building on the kind of survey exemplified by PSE by seeing more use made of longitudinal/panel surveys and of linkage between surveys and administrative data to give stronger insights and evidence on causal processes and trajectories of poverty. Poverty and social exclusion in the UK Vol. 2 edited by Glen Bramley and Nick Bailey is available with 20% discount on the Policy Press website. Order here for just £23.99. If the US economy is so good, why does it feel so bad? With a 2 percent annual growth rate, 5 percent unemployment, and zero inflation, the US economy is the envy of the world. Growth seems to be rising and unemployment seems to be falling, which means that most analysts expect an even better US economy in 2016. Throw in low gas prices and a strong dollar, and what’s not to like? If the US economy is doing so well, why are ordinary people so unhappy with their own economic prospects? The aggregate US economy may be growing but most people’s personal economies are not. Census Bureau data show that real per capita income is still below 2007 levels — despite six years of solid economic growth. And Bureau of Labor Statistics data show that despite today’s low unemployment rates the jobs still haven’t come back. Back in 2006 the employment rate of the civilian population — the proportion of adults who had jobs — was over 63 percent. Allowing for people who are still in school, people who are retired, people who are disabled, and people who prefer not to work, that was just about everyone. When the economy is doing well, people who want jobs can get jobs. Compare that with 2015. For all of 2015 to date the employment rate has been stuck below 60 percent. In fact, the employment rate has been not risen above 60 percent since the technical beginning of the “recovery” in June, 2009. Over the last six years, the economy has recovered. Employment has not. The difference between the 63 percent employment rate of 2006 and the (well under) 60 percent employment rate of 2015 is roughly 7.5 million people. That’s the number of jobs missing in today’s roaring economy. Bringing today’s employment rate back up to 2006 levels would require the creation of more than 7.5 million new jobs. What’s more, since the Global Financial Crisis there has been a shift from full-time to part-time employment. Some 2.5 million full-time jobs have disappeared, to be replaced by part-time employment. Assuming that people have basically the same preferences as they had before the recession hit, this means that the US economy is really short 10 million full-time jobs. And remember, this is the economy at its best. The current “recovery” won’t last forever. It is already the fourth longest expansion of all time and about to overtake the World War II period to become the third longest. If the next recession hits while the economy is already 10 million jobs short of full employment, God help us. The managers of the US economy don’t seem to be worried about this. On December 16, 2015 the Federal Reserve raised interest rates (albeit by a tiny amount) for the first time in seven years. The Fed expects that “economic activity will continue to expand at a moderate pace and labor market indicators will continue to strengthen.” In other words, the Fed expects more good news. More good news for whom? As analyses from the Financial Times show, banks are increasingly parking their money at the Fed, not lending it out to businesses and consumers. Along with the Fed’s increase in lending rates (from 0 to 0.25 percent) came an increase in the interest rate the Fed pays banks on their own deposits at the Fed (from 0.25 percent to 0.5 percent). For the last six years banks have parked trillions of dollars of excess funds in their accounts at the Federal Reserve. After all, they can earn 0.25 percent risk-free by borrowing money from the Fed and placing it directly in their own accounts at the Fed. Banks now hold some $2.5 trillion in excess reserves in these accounts. Those holdings give banks collectively an extra $6 billion in annual risk-free profits. Before the Global Financial Crisis, US banks held virtually $0 in excess reserves in their Federal Reserve accounts. What we see today is a US economy that is great for banks, great for bankers, and not so great for ordinary workers. Employment rates are down, employment hours are down, and wages are down. Bank profits are up, up, up to record levels. It’s no wonder that ordinary people are not as optimistic as the Board of Governors of the Federal Reserve System. In the end, the Fed can’t fix the problems of the US economy. The Fed can help the banks (and the bankers who serve on its boards) but it can’t make companies hire more people. Only government can do that, and the US government has shown no willingness to create jobs in this recession, or even in this century. The US government should be borrowing that cheap Fed money and using it to put people to work. Education, healthcare, and infrastructure could all absorb millions of workers to do jobs that desperately need to be done. President Obama should make this clear to Congress and put people to work. Fixing the jobs crisis can’t wait for the next president — or the next recession. It is already long overdue. Salvatore Babones is Associate Professor of Sociology & Social Policy at The University of Sydney. 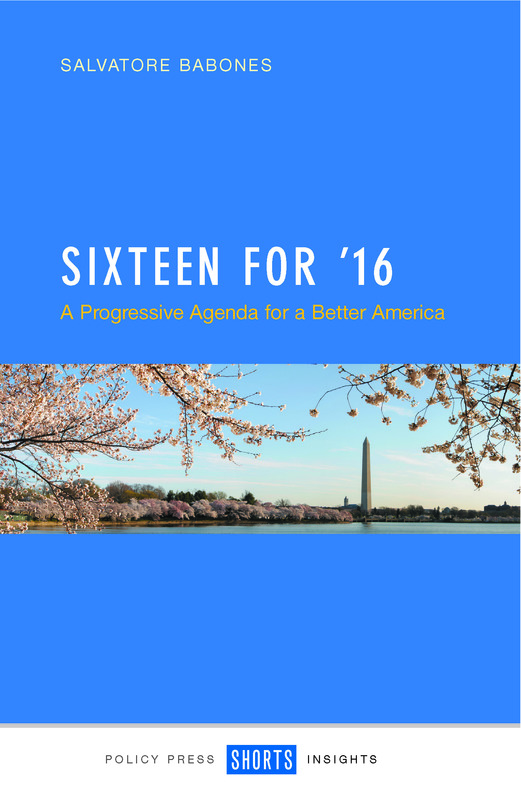 His new book Sixteen for ’16: A Progressive Agenda for a Better America is the first book in the Policy Press Shorts series. For more information about the policies proposed in Sixteen for ’16 see the book website at 16for16.com. Sixteen for ’16 is available to purchase here from the Policy Press website. Remember that Policy Press newsletter subscribers receive a 35% discount – if you’re not a member of our community why not sign up here today?